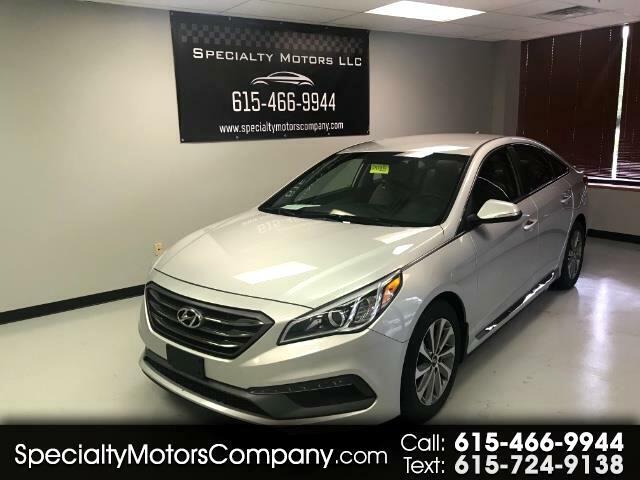 Come in and purchase this beautiful 2015 Hyundai Sonata Sport! Only has 31k well maintained miles! 35 MPG highway! Settle into the power cloth seats and enjoy the roomy interior. The seats are heated for those cold winter days. There is a backup camera for your convenience and a large trunk that can come in handy for traveling. Come see this great car before it's gone!